Hugo LaFayette Black was an associate justice on the U.S. Supreme Court for nearly thirty-four years, serving one of the longest and most influential terms in the history of the Court. Black was born February 27, 1886, in Harlan, Alabama, the eighth child of a storekeeper and farmer. He was raised in rural Alabama and attended local schools. At the age of seventeen, Black entered Birmingham Medical College. He decided that he was more suited to the study of law, however, and left the college after one year to attend the University of Alabama Law School, where he received his bachelor of laws degree in 1906. In the same year, Black was admitted to the Alabama bar. He practiced briefly in Ashland, Alabama, near his childhood home. He then moved to Birmingham, where he quickly developed a successful practice in tort, labor, and contract law. In 1911, he was appointed as judge on the Birmingham Police Court, but he resigned eighteen months later to return to private practice. In 1914, Black was elected county prosecutor for Jefferson County, Alabama, and gained local prominence for his investigation of brutal police tactics used to question suspects at the county jail. In 1917 Black resigned his position as prosecutor and enlisted in the Army. He remained in the United States and served as a captain of the artillery for a year. Then he resumed his private practice in Birmingham, where he frequently represented local workers in personal injury suits and served as an attorney for the local chapter of the United Mine Workers. In 1921 he married Josephine Foster, with whom he had three children. In 1923 Black joined the Birmingham chapter of the Ku Klux Klan (KKK). He remained a member for two years. He commented later that, at the time, he believed joining the group could further his political and professional career. In 1926, Black, a Democrat, won a seat in the U.S. Senate, overcoming four other Democrats in the race. Black served in the Senate for nearly ten years and gained prominence as a tenacious and sometimes relentless investigator into the activities of Washington, D.C. lobbyists for Public Utilities. He was also a member of the Senate Judiciary Committee and a staunch supporter of President franklin d. roosevelt's New Deal legislation. A longtime supporter of organized labor, Black helped secure passage of the Fair Labor Standards Act of 1938 (29 U.S.C.A. § 201 et seq. ), which established a Minimum Wage and a forty-hour work-week for enterprises in interstate commerce. 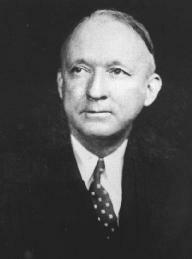 In August 1937, Black became Roosevelt's first appointee to the U.S. Supreme Court, nominated to replace retiring justice Willis Van Devanter. Initially, Black's nomination was met with some opposition. Some critics cited his relative lack of judicial experience; others expressed concern about his "judicial temperament," given the aggressive and even abrasive manner that he was said to display when interrogating witnesses while a senator. Black was nevertheless confirmed in October 1937, by a vote of 63–16. Shortly afterward came confirmation of rumors that had been circulating throughout Washington, D.C., about Black's KKK ties in the mid-1920s. The controversy died quickly after Black spoke about the matter in a radio address. He admitted that he had once been a member but maintained that he had resigned many years earlier and had disavowed any further association with the organization. Throughout his long career on the Court, Black wrote a number of landmark decisions concerning Civil Rights, free speech, and other important constitutional issues. In Chambers v. Florida, 309 U.S. 227, 60 S. Ct. 472, 84 L. Ed. 716 (1940), he wrote the majority opinion overturning the death sentences of several blacks who had been coerced, through many hours of police interrogation, into confessing to murder. The Chambers decision, which came early in Black's tenure on the Court and was the first major civil rights decision he wrote, did much to alleviate the fears of civil libertarians about his earlier KKK involvement. In another civil rights case, Boynton v. Virginia, 364 U.S. 454, 81 S. Ct. 182, 5 L. Ed. 2d 206 (1960), Black wrote the majority opinion holding that racial Segregation in facilities for travelers violated the inter-state commerce act (49 U.S.C.A. § 501 et seq.). "The layman's constitutional view is that what he likes is constitutional and that which he doesn't like is unconstitutional." Black had represented many labor organizations while a practicing attorney, and he continued his strong pro-labor stance throughout his career on the Court. In National Labor Relations Board v. Waterman Steamship Corp., 309 U.S. 206, 60 S. Ct. 493, 84 L. Ed. 704 (1940), which involved a dispute over unfair labor practices, Black wrote for the majority that the court of appeals could not substitute its judgment for that of the national labor relations board. In his dissent in United Public Workers v. Mitchell, 330 U.S. 75, 67 S. Ct. 556, 91 L. Ed. 754 (1947), he opposed restrictions that prohibited federal government workers from participating in political campaigns. In youngstown sheet & tube co. v. sawyer, 343 U.S. 579, 72 S. Ct. 863, 96 L. Ed. 1153 (1952), the Court, with Black writing the majority opinion, held that President Harry S. Truman did not have the authority to seize most of the United States' steel mills to avert a threatened strike. Black strongly believed that the due process clause of the Fourteenth Amendment to the Constitution—which provides that "[n]o State shall make or enforce any law which shall abridge the privileges or immunities of citizens of the United States"—means that the first eight amendments of the Bill of Rights must be applied to the states as well as to the federal government. Eventually, a majority of the Court agreed with him. In gideon v. wainwright, 372 U.S. 335, 83 S. Ct. 792, 9 L. Ed. 2d 799 (1963), Black wrote for the majority that states must provide defense counsel to indigent defendants accused of a felony, at any "critical stage" of the criminal proceedings. In Pointer v. Texas, 380 U.S. 400, 85 S. Ct. 1065, 13 L. Ed. 2d 923 (1965), in another majority opinion, Black wrote that the Sixth Amendment right of an accused to confront witnesses extends to defendants in state cases. Black always carried a copy of the Constitution in his pocket. He was a staunch defender of the First Amendment and vehemently opposed any restrictions on the Freedom of Speech. He dissented in dennis v. united states, 341 U.S. 494, 71 S. Ct. 857, 95 L. Ed. 1137 (1951), which upheld a federal statute making it a crime to advocate the overthrow of the government by force. Black rejected the Court's reliance on the "clear-and-present-danger" test, in which the Court considered whether such a serious danger existed that the restriction of speech was justified. Black wrote, "There is hope … that in calmer times, when present pressures, passions and fears subside, this or some other Court will restore the First Amendment liberties to the high preferred place where they belong in society." He joined Justice William O. Douglas's dissent in the Obscenity case roth v. united states, 354 U.S. 476, 77 S. Ct. 1304, 1 L. Ed. 2d 1498 (1957), in which Douglas maintained that even "prurient" material was entitled to absolute First Amendment protection. In the First Amendment case engel v. vitale, 370 U.S. 421, 82 S. Ct. 1261, 8 L. Ed. 2d 601 (1962), he wrote the majority opinion holding that voluntary prayers sponsored by public schools are unconstitutional. He stated, "It is neither sacrilegious nor antireligious to say that each separate government in this country should stay out of the business of … sanctioning … prayers and leave that purely religious function to the people themselves and to those the people choose to look to for religious guidance." One of Black's last opinions before leaving the Court was for the Pentagon Papers case, new york times co. v. united states, 403 U.S. 713, 91 S. Ct. 2140, 29 L. Ed. 2d 822 (1971), in which he concurred in the Court's holding that the government could not prevent publication of a classified study on the Vietnam War. Black departed from his liberal views in korematsu v. united states, 323 U.S. 214, 65 S. Ct. 193, 89 L. Ed. 194 (1944), a widely criticized decision, for which he wrote the majority opinion upholding the internment of Japanese Americans during World War II. Despite the condemnation of Korematsu in the years following the war, Black stood by the decision, maintaining that it was justified by the climate of fear that existed at the time. In addition, his Strict Construction of the Constitution led him to write other opinions that sometimes seem inconsistent with his liberal views. He dissented in griswold v. connecticut, 381 U.S. 469, 85 S. Ct. 1678, 14 L. Ed. 2d 510 (1965), in which the Court struck down, on privacy grounds, a state law that prohibited the sale of contraceptives. Black maintained that no right of privacy could be found to emanate "from one or more constitutional provisions." While on the Court, Black was known for being sometimes antagonistic toward other justices with whom he disagreed. The Court's tradition of keeping private its inner workings and the nature of the personal relationships between the justices was broken when Black became engaged in an unusually public feud with Justice robert h. jackson in 1946. The dispute began when Jackson, in a letter to the Senate and House Judiciary Committees, accused Black of a conflict of interest for participating in two labor decisions that were argued by a former law partner of Black's. Jackson failed to mention that Black and the attorney had dissolved their partnership nineteen years earlier and had hardly seen each other since. Black, in turn, publicly criticized Jackson's leave of absence from the Court from 1945 to 1946 to serve as the U.S. prosecutor at the Nuremberg Trials, calling those proceedings a "high grade lynching party." Jackson was in line for the chief justice seat, which had been vacated in 1946, and he blamed Black when the appointment went to fred m. vinson, selected by President Truman to restore peace among the members of the Court. Following Vinson's appointment, Black and Jackson were outwardly cordial to each other, though Jackson was reported to have remained resentful, believing that Black's actions had denied him the post of chief justice. Healthy and vigorous well into his later life, Black was an avid tennis player who often shared the court with his law clerks. On September 17, 1971, Black resigned from the Court at the age of eighty-five. He died just eight days later after suffering a massive stroke. Frank, John P. 1997. "The Shelf Life of Justice Hugo L. Black." Wisconsin Law Review. (January-February). Hockett, Jeffrey D. 1996. New Deal Justice: The Constitutional Jurisprudence of Hugo L. Black, Felix Frankfurter, and Robert H. Jackson. Lanham, Md. : Rowman & Littlefield. Newman, Roger K. 1999. "The Populist: Hugo Black Over-come Humble Beginnings—and Membership in the Ku Klux Klan—To Become a Constitutional Pioneer of Civil Rights and Civil Liberties." American Lawyer 21 (December). ——. 1997. Hugo Black: A Biography. New York: Fordham Univ. Press. Freedom of the Press; Incorporation Doctrine; Japanese American Evacuation Cases; Right to Counsel; School Prayer.